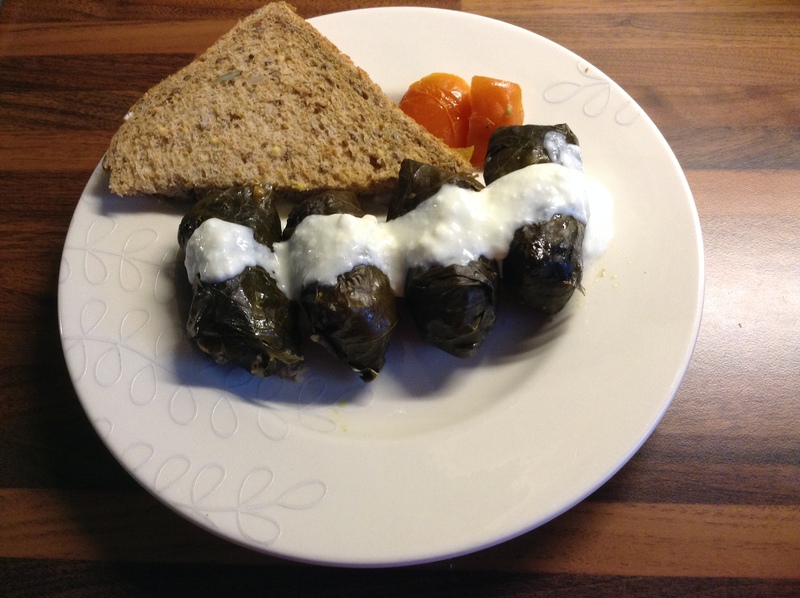 Today I made stuffed vine leaves, following my mum’s tested and tried recipe. I usually make stuffed peppers as they are less hassle but the leaves give the dish a particular taste I was craving. 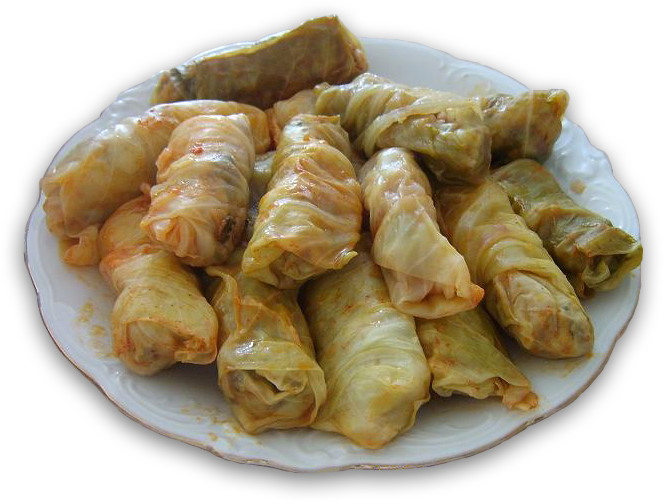 In Romania they usually make sarmale (stuffed leaves) with either sauerkraut (cabbage leaves left whole and marinated in salty water) or vine leaves. There are variations of sarmale in Greece (they are called dolmades there) Bulgaria and Turkey but the difference is that the Romanian LOVE their meat and always have to have minced meat in theirs whereas the Greeks have them stuffed with rice and plenty of herbs. fresh parsley, if you like the taste. fresh tomatoes( of chopped tomatoes, if not in season) to line your casserole and prevent burning. Chop finely your carrot and onion (I put them in the baby blender, for speed). Add your minced meat, the chopped veggies, the raw egg, the rice and the parsley into a large bowl and give them a good stir. Add salt and pepper and olive oil, if the mixture appears dry. If you are really keen to learn how to stuff your vine leaves properly, have a look at this video. It’s all in English and she shows you the how to in the most delightful way. Here were mine today, humble-looking yet tasty! As wife to a Greek I love these!